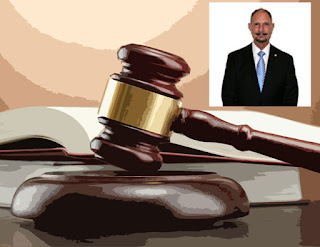 Anthony Livoti, Jr., a prominent Fort Lauderdale, Florida attorney, who was sentenced to 10 years in Federal Prison, for his role in the massive Mutual Benefits Corp. Ponzi scheme, involving life settlement investments, has filed a notice of appeal from his motion for a new trial. The basis for his motion was the fact that it was subsequently discovered that a juror had mistakenly served in place of his father, due to a name similarity. Mr. Livoti, who was the trustee for Mutual Benefits, and responsible for investor funds being held to pay life insurance premiums on policies purchased by the victims. Life Settlements are investments in the secondary market for life insurance. He was convicted on several counts, including fraud and money laundering. Investors sustained losses in exchange of $800m. His appellate attorney has moved to consolidate his appeal with his pending appeal of the jury verdict. Livoti faced a potential 80 years before his sentencing; it is rumored that he was offered a short sentence, as part of a plea agreement, but he declined. The attorney who performed most of the legal duties for Mutual Benefits, and who received a 5years, was recently released from prison, having served his sentence. Professionals who assist in the operation of a Ponzi scheme, and who use their specialized legal or accounting skills to facilitate its continued existence, can expect to receive a hefty sentence in District Court.